The Al-Fateh Mosque is also known as Al-Fateh Islamic Center & Al Fateh Grand Mosque is one of the largest mosques in the world, encompassing 6,500 square meters and having the capacity to accommodate over 7,000 worshippers at a time. 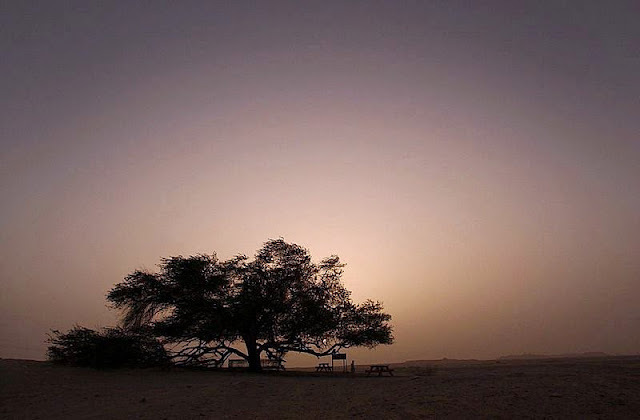 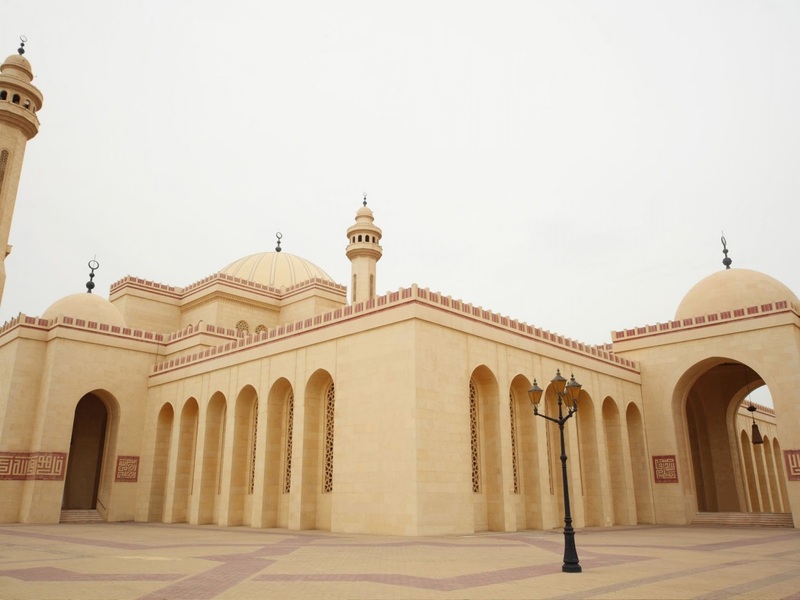 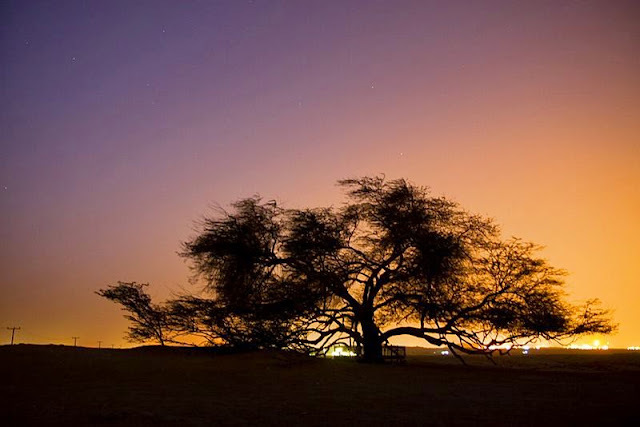 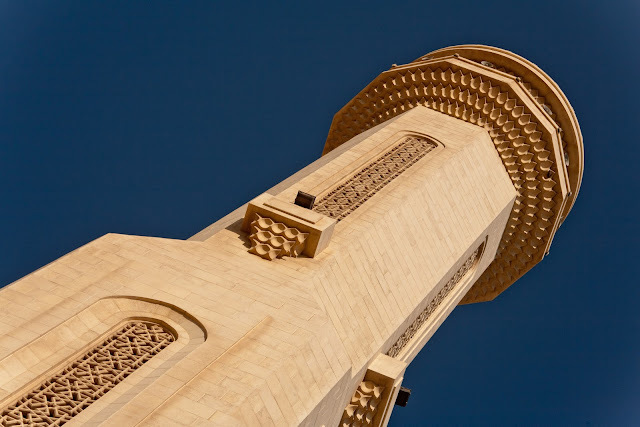 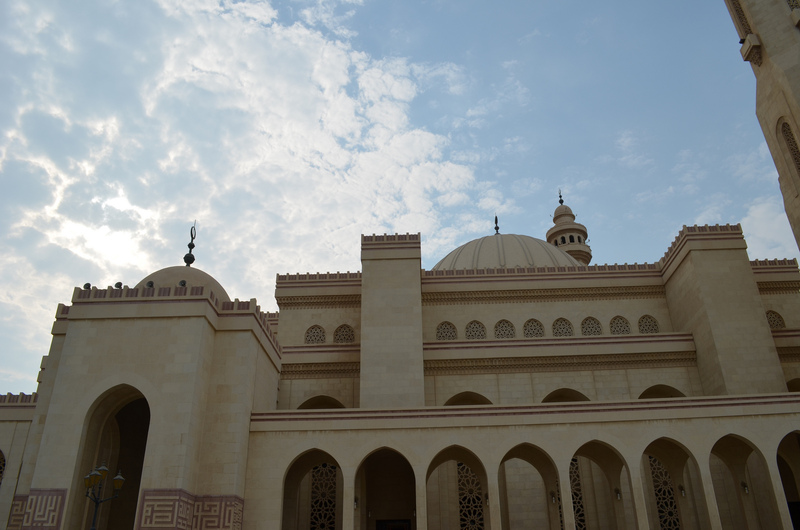 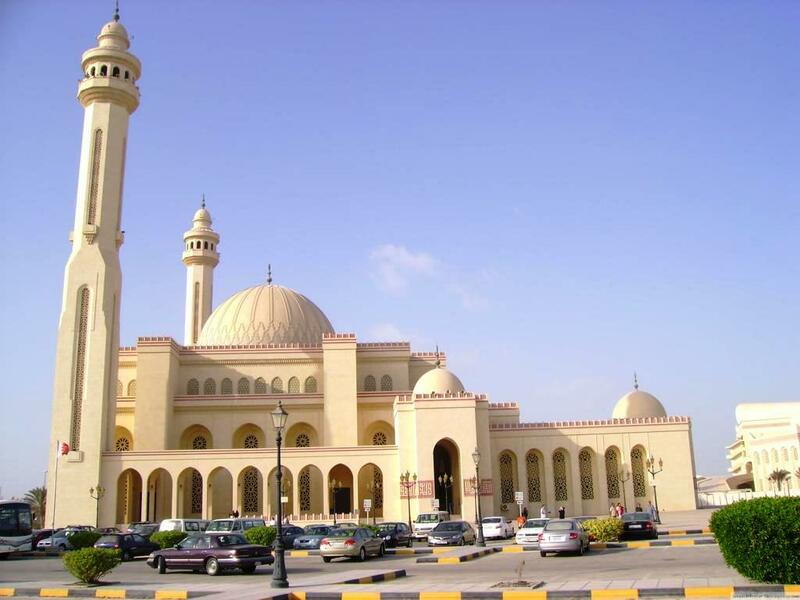 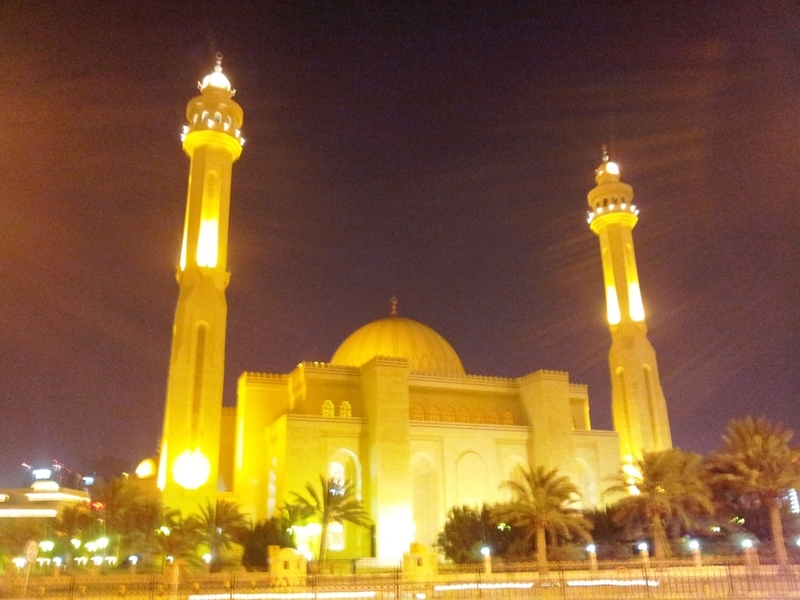 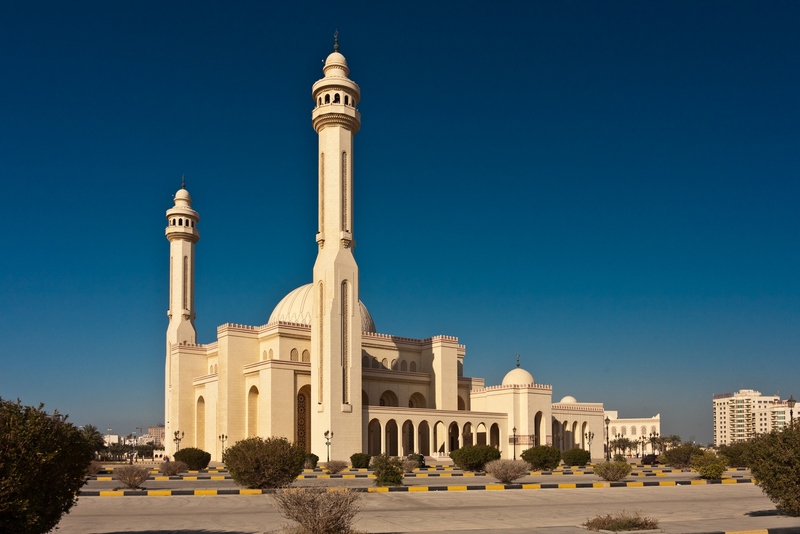 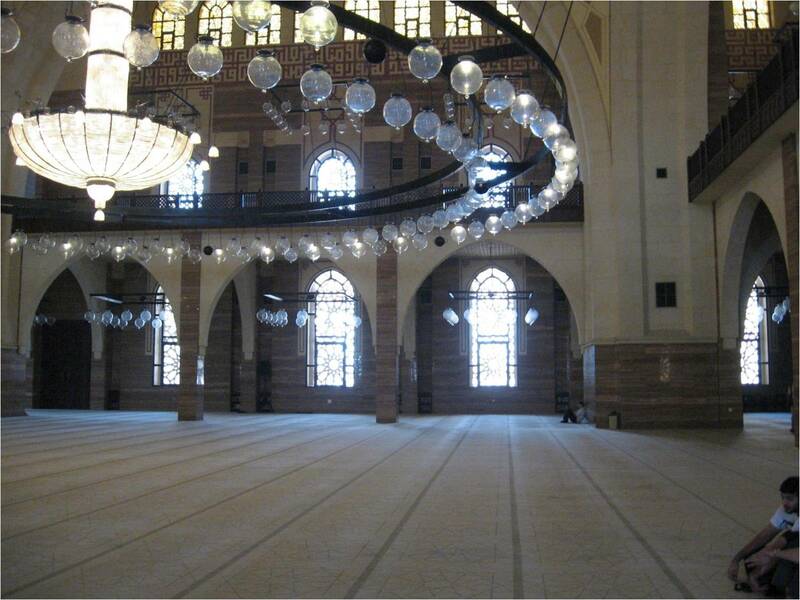 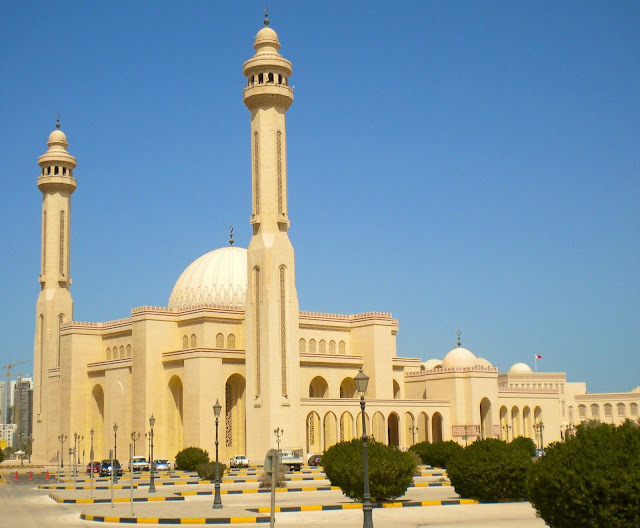 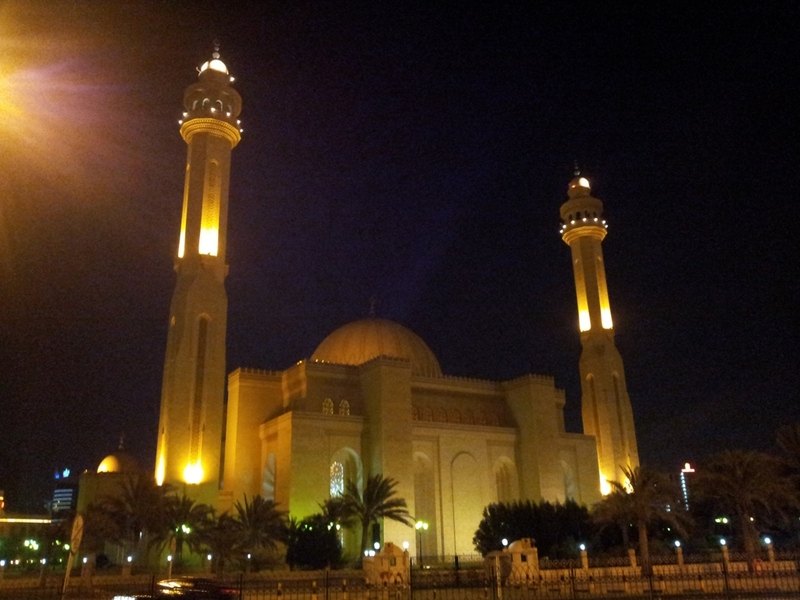 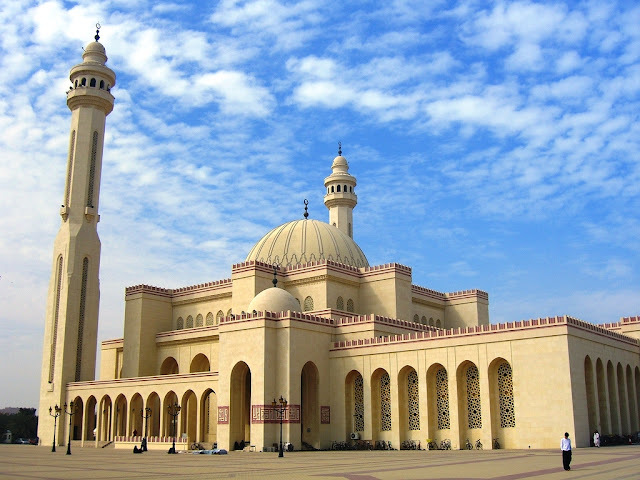 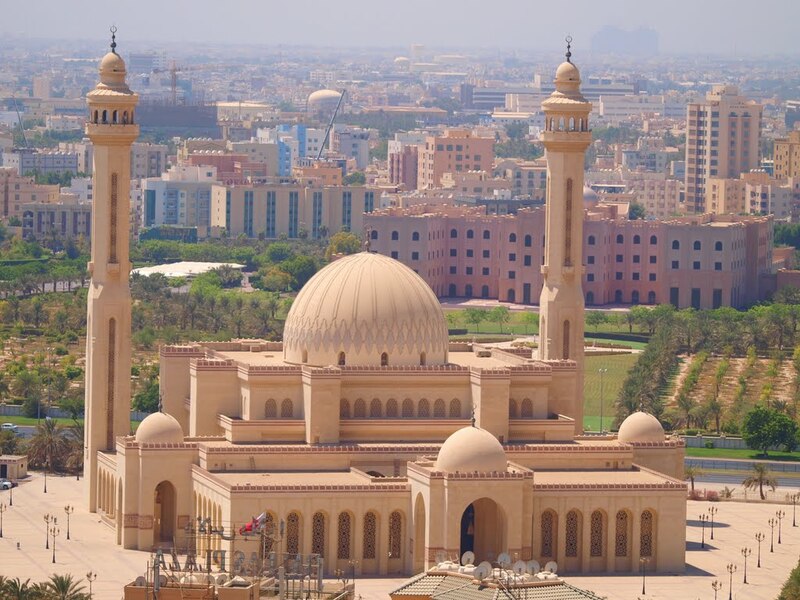 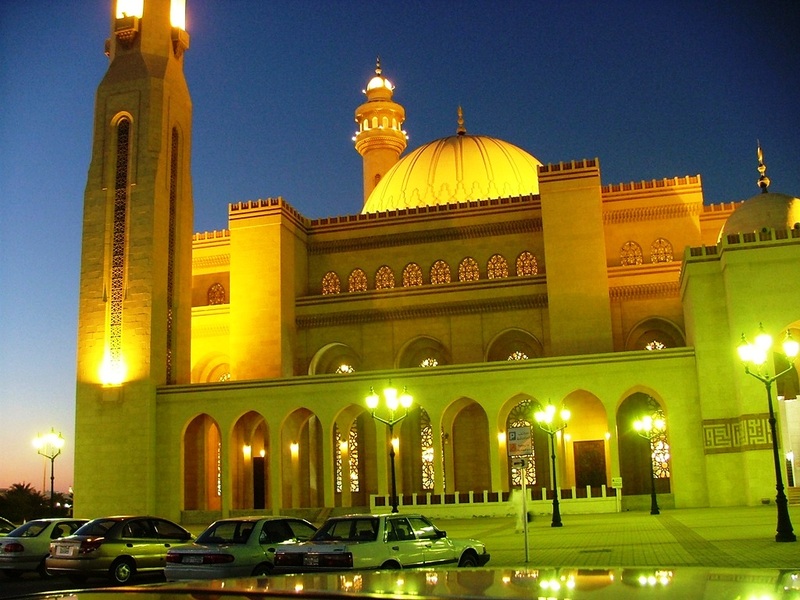 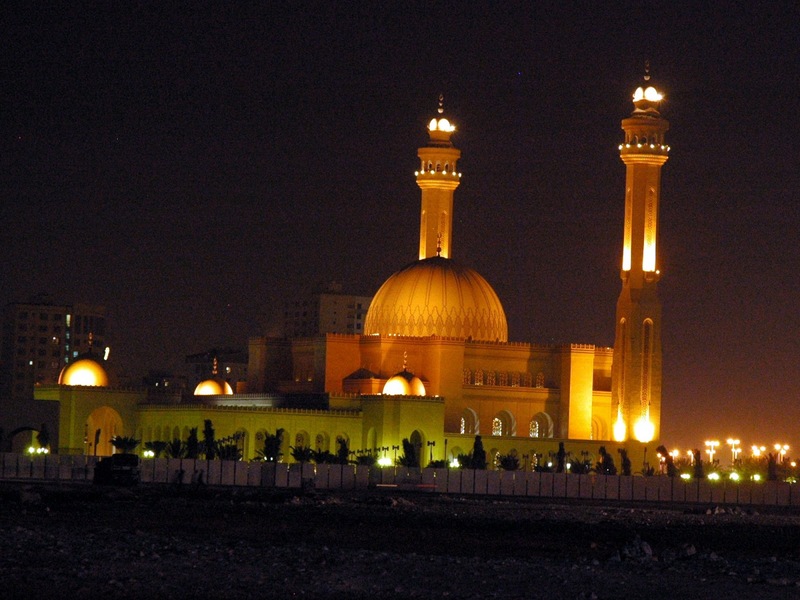 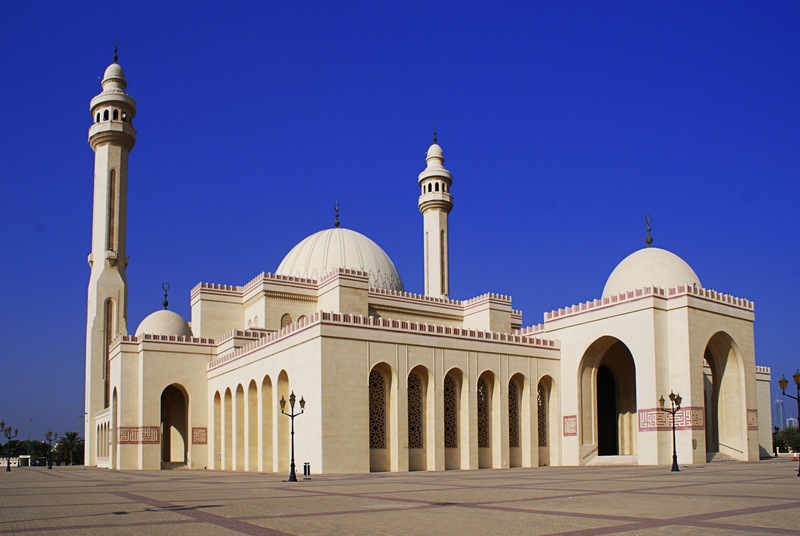 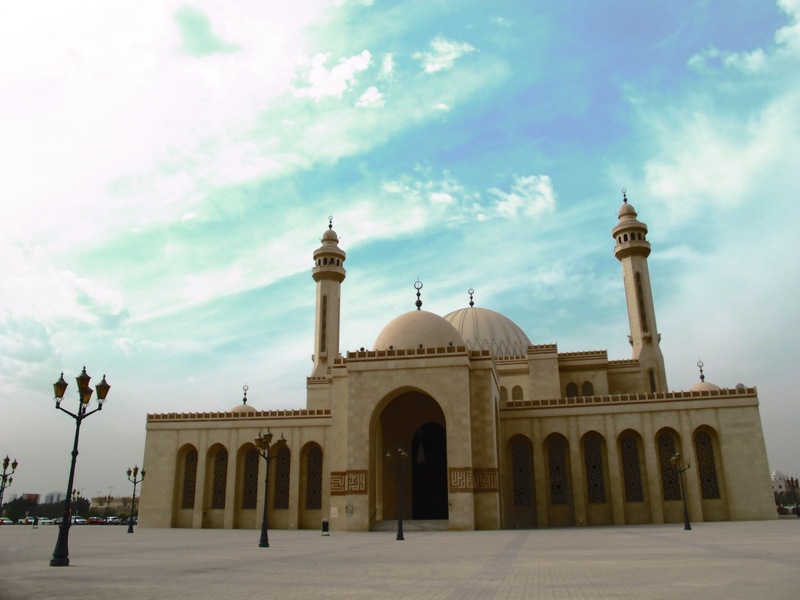 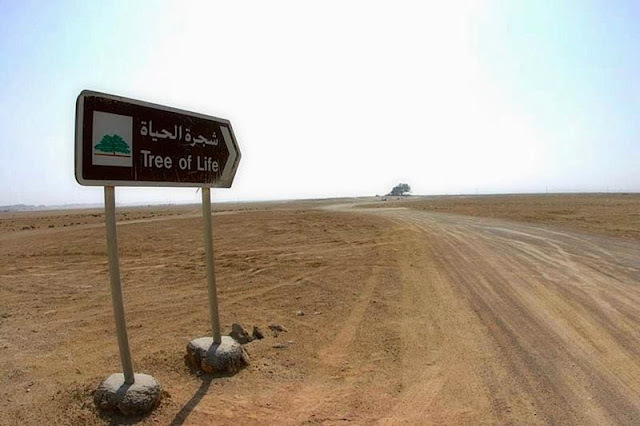 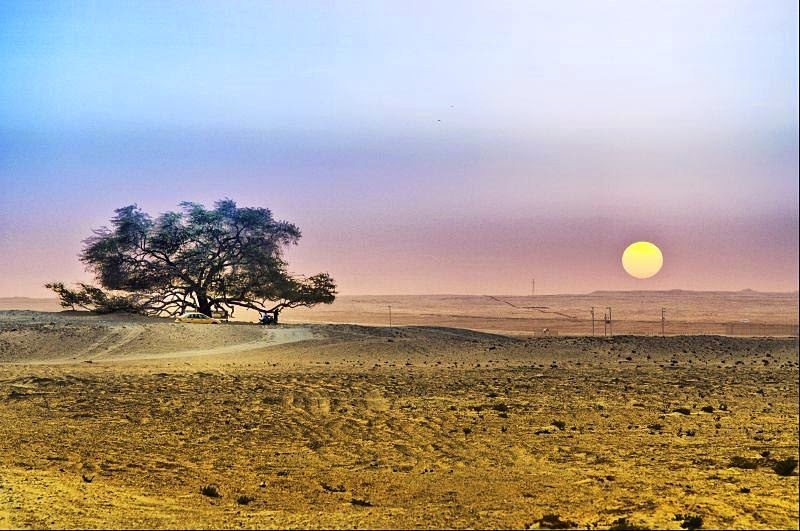 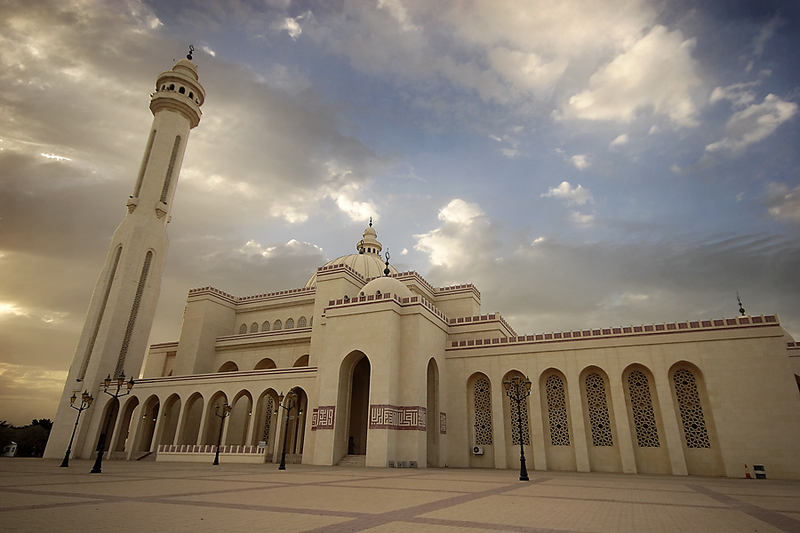 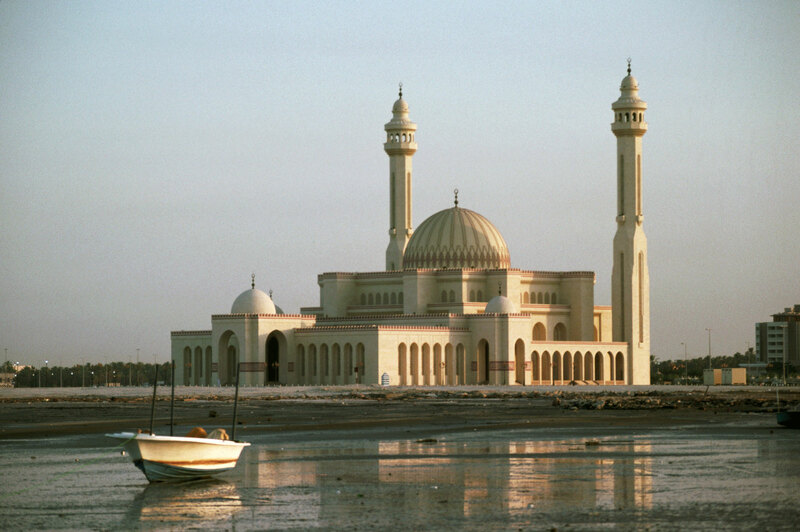 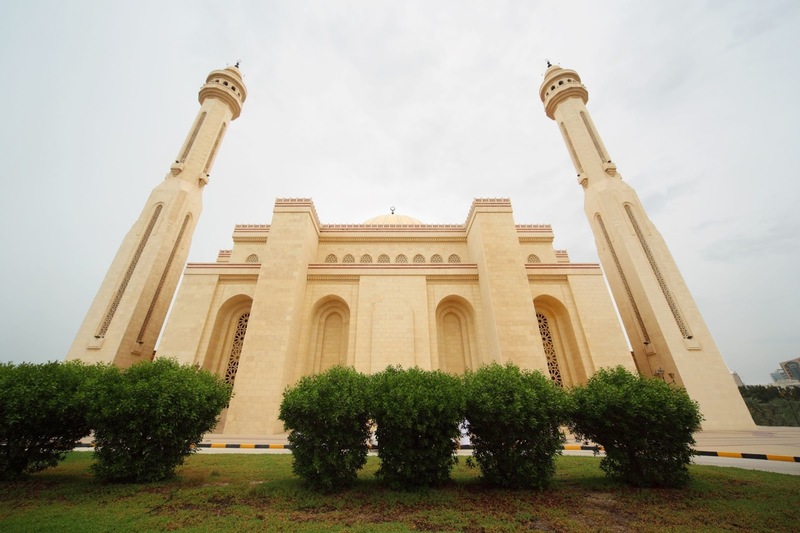 Al-Fateh mosque is the largest place of worship in Bahrain, and situated near by King Faisal Highway in Juffair. Al-Fatech dome (Minar) built on top is constructed of fiberglass, which is presently the world’s largest fiberglass dome (Minar). 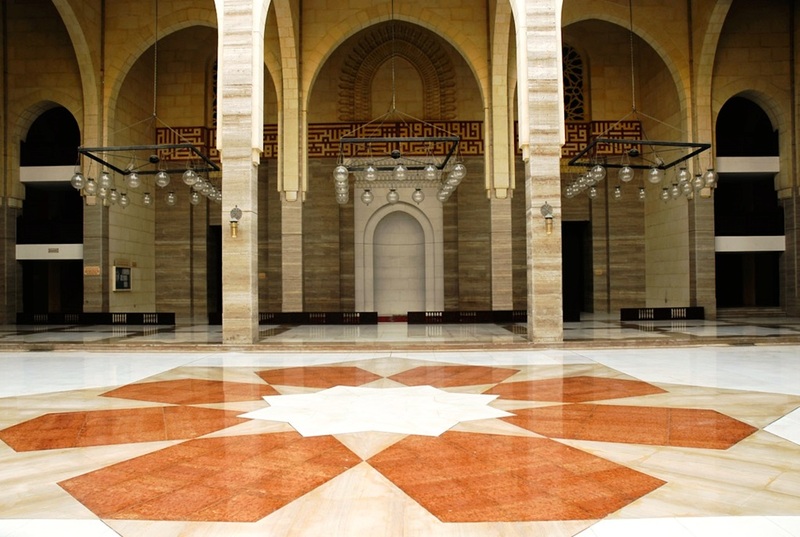 The beautiful marble used in the floors is Italian and chandelier is from Austria. 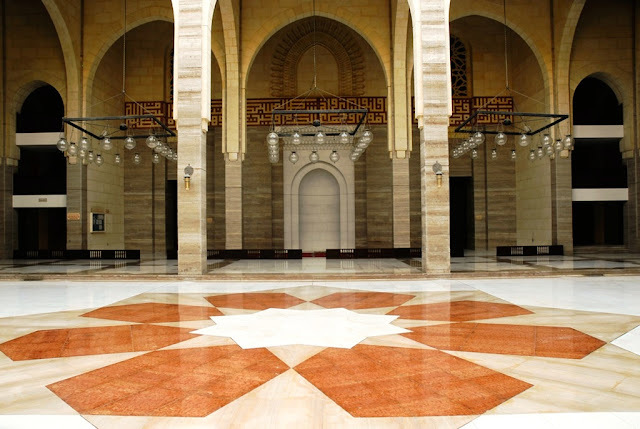 The lovely doors are made of teak wood from India, and calligraphy art is a very old style is called Kufic. 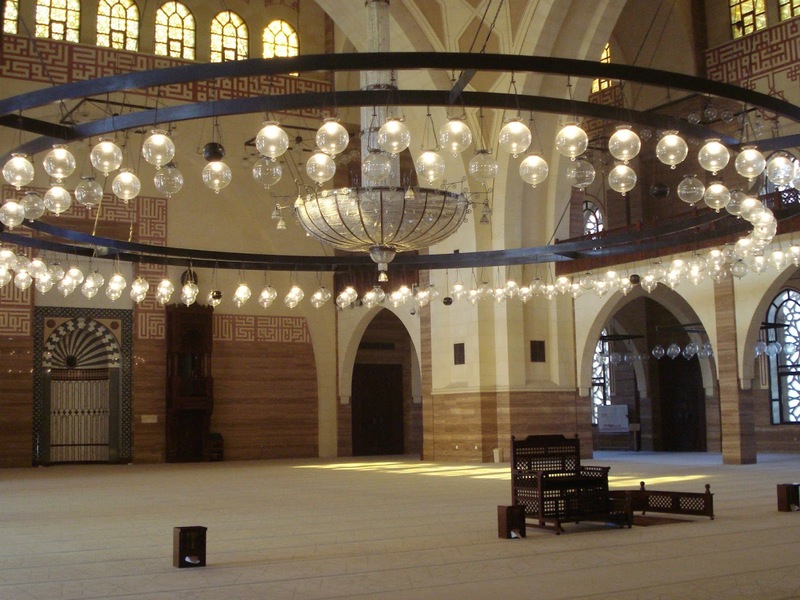 Al-Fateh Mosque is built by late Sheikh Isa ibn Salman Al Khalifa in 1987 and named Ahmed Al-Fateh. 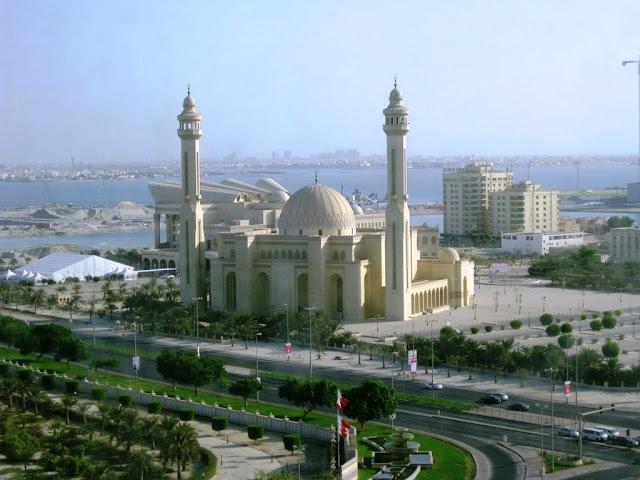 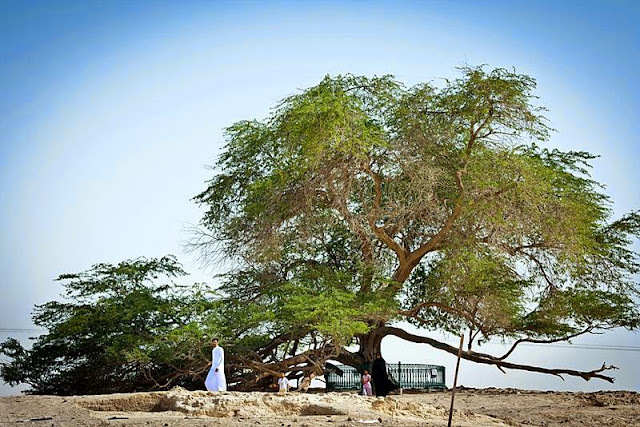 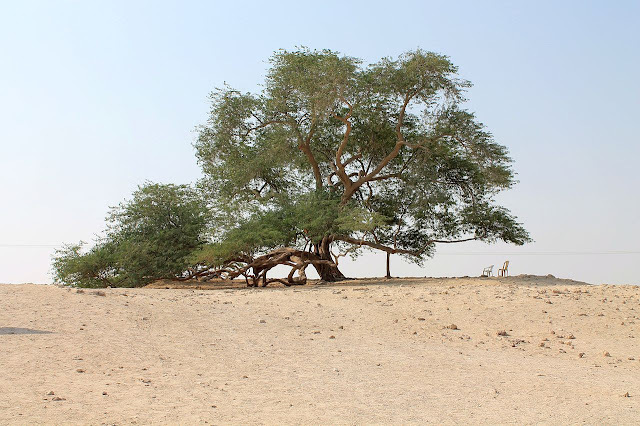 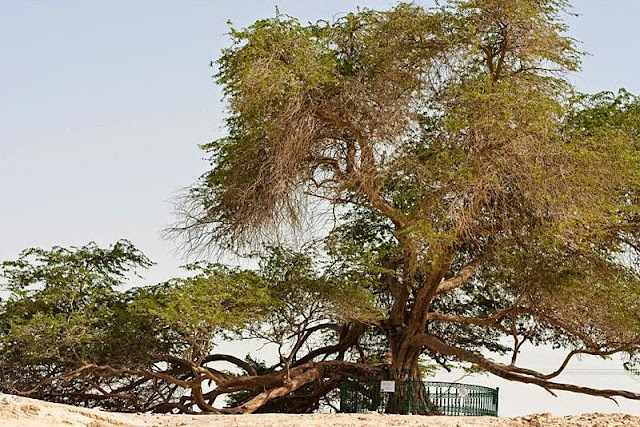 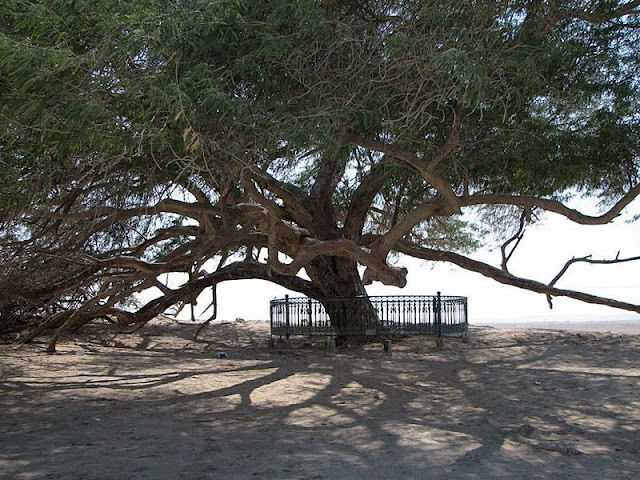 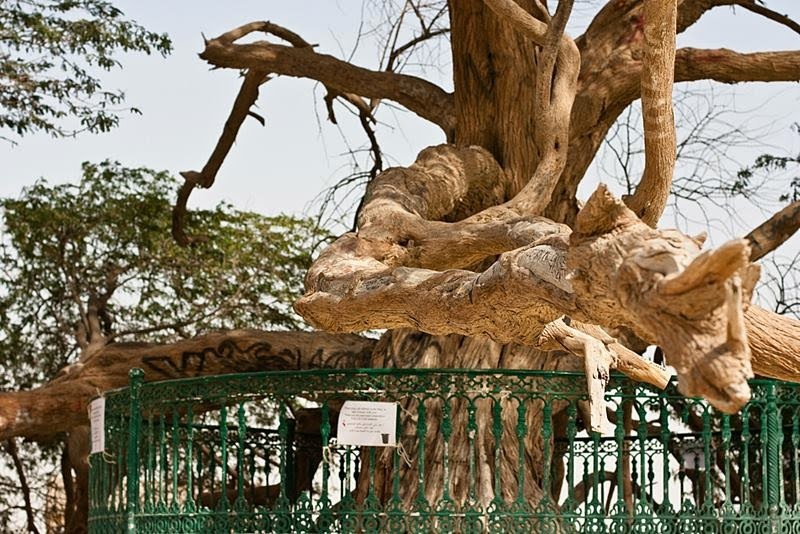 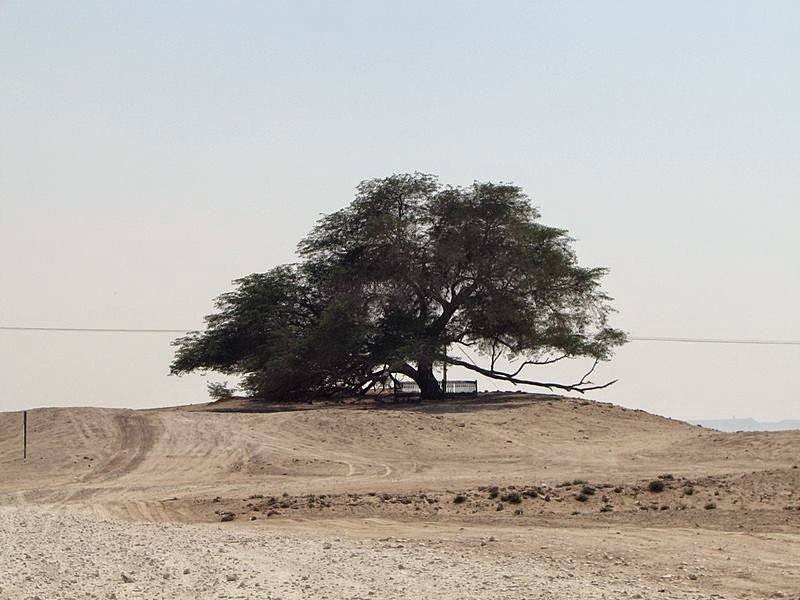 (The conqueror of Bahrain).